Law Giving Day 2018 | Mark it Maroon! 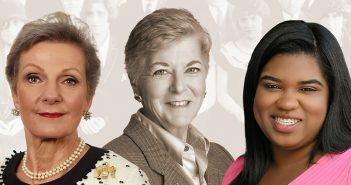 You are at:Home»Insider»Law Giving Day 2018 | Mark it Maroon! 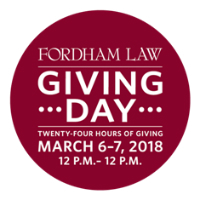 Fordham Law Giving Day is an annual fundraising marathon that aims to secure as many donors as possible in a 24-hour period. Giving Day 2017 was a huge success and showcased the incredible breadth and strength of the Fordham Law community. Hundreds of alumni and friends made gifts totaling over $144,000, with $100,120 in matching challenge funds unlocked. Dean Diller traveled to South America!